In recent years there has been a qualitative and progressive change in Dalit consciousness. This has resulted in Dalit assertion. Apart from mobilizing masses for political power, Dalits are now trying to reconstruct Dalit culture, literature and history so that they can claim for their identities. The present article intends to trace the process of formation of identity of the Meghwal, a Dalit community of western Rajasthan. The process of identity formation of the Meghwal community has been traced through the reading of oral traditions, and the written literature especially one by Swami Gokul Das titled "Meghwal Itehas" (History of Meghwals) written in the Vikram Samvat 2001/1994 A.D.
n. In both senses also called Weltanschauung. 2. A collection of beliefs about life and the universe held by an individual or a group. as a subject matter is acquiring a prominent place in the contemporary academic discourse. There is a legitimate attempt to recognize Dalit contributions and give them their due place in Indian history and culture. Dalit communities, over a period of time have produced intellectuals and theoreticians from among themselves who along with others are reconstructing several aspects of Dalit culture and history which till very recently had remained untouched. The emergence of Dalit literature is yet another attempt by the Dalit communities to construct their identity. A tilt in the balance of forces at socio-political level has resulted into what has been called by Braj Ranjan Mani (mä`nē): see Manichaeism. (born April 14, 216, southern Babylonia—died 274?, Gundeshapur) Persian founder of Manichaeism. as "breaking the 'culture of silence' imposed on them and they have started telling their stories in their own language and idiom, and have begun to refute their conventional representation in history and culture". (1) It has also been argued by some scholars that authentic and near objective representation of Dalits in history, culture and literature can be ensured only by Dalits themselves as they are the ones who have experienced the caste oppression and discrimination. (2) Without going into the debate whether those who have not faced the caste discrimination and oppression themselves can do justice to the Dalit culture, literature and history or not, the present article intends to trace the process of formation of identity of the Meghwal, a Dalit community of western Rajasthan. 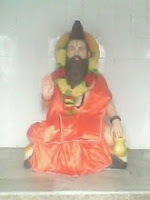 The process of identity formation of the Meghwal community has been traced through the reading of oral traditions, coined by the lower caste groups themselves or about them by others, and the literature produced by Swami Gokul Das, a Dalit author which reflects collective aspirations of this community. 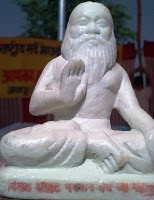 Most of the literary texts produced by Swami Gokul Das deals with Ramdev, a popular deity worshipped by the lower caste groups in western Rajasthan. The text consulted for the present work pertains to the origin of the Meghwal community and records several versions of the life-story of Dalibai, a Meghwal female deity. Several versions of the text have been studied to understand the formation of the identity of the Meghwal community. It is in this sense that the life-story of a Dalit woman makes history. Before we analyze the text proper let us study the historical background to which this history was written. The Meghwal community was formed by the members of the low caste groups and marginalized sections who shared a non-Brahmanical world-view. However, by the nineteenth century the upper castes had already accepted the Meghwals as Hindus and included their deities and belief system as a part of Hinduism. The appropriation, the evidences suggest, was bitterly contested and far from a smooth process. The article intends to understand and underline the contestation made by the Meghwal community for religious and spiritual space within Brahmanism/Hinduism once the appropriation was complete. The sources consulted to trace the aforesaid Before, already said, referred to, or recited. 1. To make a god of; raise to the condition of a god. 2. To worship or revere as a god: deify a leader. 3. by the low caste groups of western Rajasthan have been documented in several sources. More than one versions of these traditions offering variations in contents, suggest that they have come down to us through both Brahamanical and non-Brahamanical sources. Meghwal Itehas, a twentieth century text, written by a Dalit himself, is an exercise in constructing history of the Meghwal community with a view to gain respect and dignified social status within a discriminatory and hierarchical social apparatus. Constructing genealogical origin of the community, highlighting the deeds of the prominent members and deities of the community are the areas focused in the book. 1. Disparaging; belittling: a derogatory comment. 2. Tending to detract or diminish. manner, dhedh or dhedha, as they drag away dead animals. The word dhedha has been derived from a Gujarati word dhayadavan, to drag. (4) According to the Census of 1901 the Meghwal were classified as untouchables. 1. , new myths were coined and popularized and elements of charisma were added to Dalibai's personality. Almost all versions of life-story of Dalibai records her ability to perform miracles which have rendered even her mentor and Guru Ramdev speechless. Three versions of the story dealing primarily with the birth of Dalibai have come down to us through various sources and the same have been recorded by Swami Gokul Das. Apart from being part of popular traditions and narrated through "Vaat" and Bhajans more than one versions of these stories have been recorded into bardic sources. (11) These stories were also narrated by the devotees of Dalibai in their personal conversation with the author. The fact that these versions have been recorded in various literary sources ranging from official to bardic suggests their popularity. Contents of the stories suggest that they were composed at different times and throws light on the socio-religious processes of those times. According to one version of the story which is also recorded by Gokul Das in his work Meghvansh Itihas, Bhoj Meghwal had two sons--Sayer and Adsi. Sayer had no issue but Adsi had a son named Munja and a daughter Dali. Since Adsi died when the children were infants, Sayer brought them up. Since her childhood, Dalibai was a great disciple of Ramdev and accompanied him in his task of reforming the society. The narrative records that Dalibai used to accompany Ramdev to sing Bhajans. The episode of death of Dalibai is recorded in the story in detail. One day when Dalibai was grazing the cattle of Ramdev, she heard music and songs. When inquired, she found out that Ramdev was to take live samadhi. Hearing this, she left the cattle in the jungle and rushed to the spot where Ramdev along with his followers was preparing the land for his samadhi. She entered into a dialogue with Ramdev and insisted that she would take samadhi first. Ramdev and Dalibai argued for a while surprising the devotees and disciples. When no consensus was arrived at, Dalibai suggested a way out. It was Adj. 1. agreed upon - constituted or contracted by stipulation or agreement; "stipulatory obligations"
noncontroversial, uncontroversial - not likely to arouse controversy by both that while digging the samadhi, if articles used by women such as comb, bangles etc. are found, Dalibai would be the first to take the samadhi and if articles of worship used by men such as jhalar and shankh are discovered, Ramdev would take his turn first. The digging was undertaken before the gathering of curious devotees. To the surprise of everyone, articles used by women were found and Dalibai, therefore, took the samadhi first. She also instructed Ramdev to take samadhi after three days. Ramdev, the narrative tells, sang bhajans at Dalibai's samadhi for three days before taking samadhi. The aforesaid narrative establishes Dalibai's birth in a low caste family. There is no attempt to hide or dilute the caste of the deity as it was attempted in the later versions of the story. In a caste ridden medieval society, Dalibai must have been rejected by the upper caste groups as a deity. This can be discerned from several couplets composed by the low caste devotees of Dalibai who have defended her saintly character in spite of her being a Meghwal. (12) Dalibai moved from place to place accompanying with Guru Ramdev singing bhajans which suggests that the duo preached their teachings through singing among masses, primarily the lower castes. Defending the status of deity attributed to a Meghwal female must have given a sense of pride to the members of Meghwal caste and an icon to rally around. Singing of bhajans by Ramdev and Dalibai in lower caste gatherings in general and Meghwals in particulars gradually built up the close socio-cultural network within the Meghwals and provided them an identity as a community. It was a non-Brahmanical identity as it is clearly established from their belief system, the rituals they performed and social practices followed by the members of the Meghwal caste. Dalibai was not worshipped by her followers for general spiritual welfare as is the case with deities of Hindu pantheon; rather, she was venerated for seeking protection from difficulties and problems faced in the mundane life. (13) Moreover, iconography of Dalibai has also remained vague. It has no definite human shape and resembles a doll made of cloth or wood. Meghwals like their counterparts in Brahamanical system do not consign v. 1) to deliver goods to a merchant to sell on behalf of the party delivering the items, as distinguished from transferring to a retailer at a wholesale price for re-sale. Example: leaving one's auto at a dealer to sell and split the profit. their dead to flames. Rather they bury them. The episode of taking samadhi by Dalibai and Ramdev in the narrative and worship of their samadhis at the temple of Runeecha reveals the non-Brahamanical character of these deities. To fill with sudden wonder or amazement. See Synonyms at surprise. her Guru. It is only through superior miraculous powers that she ensures the discovery of articles used by women when samadhi was being dug and succeeded in taking samadhi before Ramdev. Such a construction was an attempt to attribute a higher status to Dalibai in popular perception. The instruction to Ramdev by Dalibai to take samadhi only after three days and singing of bhajans at the samadhi of Dalibai by Ramdev indicate the attempt to project Dalibai as Guru of Ramdev, who happened to be of Rajput origin. This suggests that the Meghwals and their lower caste brethren were no longer willing to let their caste deity live under the shadow of Ramdev. claw of any cloven-footed animal. of the branch. He picked up the child, blessed her and then made a basket of the branches and leaves of the Jal tree, kept the child in it, covered her with his shawl and left the basket in the river afloat. The Tanwar Rajput, Maharaj Ramdev, along with his friends was riding horse on the river bank. A Meghwal named Sayer from the Jaypal Gotra was also accompanying Ramdev. Ramdev spotted the basket and asked Sayer to take out the basket from the river. Sayer took out the basket and found a baby girl playing in it. Ramdev was perplexed and then he told Sayer that since he did not have a child, the god had sent him a daughter. Sayer brought her home and along with his wife brought up the girl with love and affection, who was called Dali. 1. Greatly exceeding the normal or average but still obeying natural laws. ..... Click the link for more informatio powers and becomes an alternative sources of power, in fact a god himself. (14) Though possessing the qualities of a rebel, Rishi in Indian traditions could not be identified as a non-Brahamanical figure. Popularity of the epics such as the Mahabharata and the Ramayana and numerous Puranic legends established Rishi as a well-knit figure in the Indian religious tradition, a figure whom even the gods of Hindu pantheon respected. 3. by religion, resistance in the religious sphere was the strongest. 1. Contentious rivalry or disagreement among members of a group or organization: infighting on the President's staff. 2. Fighting or boxing at close range. among them and the colonial rule had adversely affected the traditional balance of social forces and supremacy of Brahmans was challenged in religio-cultural sphere by asserting independent religious identity and giving wide currency to the cults of non-Brahmanical deities. The Brahmanical forces responded to the situation and began to appropriate lower caste religious traditions and deities to arrest the process of declining hegemony. The aforesaid version of Dalibai's story, if read in this background, provides a plausible explanation for veiling the caste of the deity. The process of appropriation of Dalibai into Brahmanical fold is facilitated by suggesting a Rishi as biological father of the deity as the upper caste commoners might not worship a deity who was born in a Meghwal family. Further, Dalibai, as the narratives record, is born in a branch of Jal tree, and not to a woman. This emphasizes the association of Dalibai with "Jal tree", an important vegetation in the arid region of western Rajasthan. It withstands the harsh ecological conditions and during the periods of drought and famine provides food and fodder for the members of the communities. After Bhrigi Rishi finds her, the basket made of Jal branches becomes her second home and the vehicle in which she reaches her mentor Ramdev. The association of the Jal tree with the birth of Dalibai signifies her as a product of nature, she being prakriti. It is popularly believed that Dalibai received her name from the branch of the Jal tree-branch in Hindi means "dali". The Jal tree branch or nature, here, has performed the role of a mother in giving birth to Dalibai. The absence of a biological mother, suggests an abstract birth, this creates an impersonal and cosmic image of the person in question. This version of the story postulates an obscure maternal lineage but the The state or condition of a father; the relationship of a father. 1. The quality of being supernatural. 2. Belief in a supernatural agency that intervenes in the course of natural laws. .
Because of; on account of: I couldn't attend, owing to illness. In Hinduism, a form of ceremonial worship. It may range from brief daily rites in the home to an elaborate temple ritual. A typical puja offers the image of a deity the honours accorded to a royal guest. and receive offerings as was the case with Ramdev's temple. 1. Effected against resistance through the use of force: The police used forcible restraint in order to subdue the assailant. 2. Characterized by force; powerful. conversion of the Hindus to Islam. One such victim of the forcible conversion, according to the narrative, happened to be Dalibai. Ramdev, an important deity of the Meghwals, resisted the ongoing conversions and reconverted the converts to Hinduism by performing "shuddi". The story has strong communal overtones. Projection of Ramdev and Dalibai as champions of Hinduism and anti-Islam has a purpose. The dominant traditions associated with Ramdev and Dalibai are non-Brahmanical and have been categorized by some scholars as Islamic. (18) Ramdev has a large following among Muslims and is regarded as Ramsa Pir by the Muslims. His temple contains his grave, which is called samadhi by his Hindu followers. (19) To mitigate their association with Islamic practices, it was necessary to project these lower caste deities as anti-Islamic characters. Depicting them as orthodox Hindus in their lifetime, even by the Meghwals--as it is amply clear from the writings of Swami Gokul Das--is a drive towards fulfilling the unfinished agenda--making Dalibai a true Hindu deity which can be seen as an attempt by the Meghwals to make or get by cutting, or as if by cutting; to cut out. See also: Carve a religious space for themselves within Hinduism. Adj. 1. . Such people formed separate castes belonging to the lower rung of the society. (21) According to one Puranic tradition, a king Trishanku once expressed the desire to proceed to heaven with human body. To achieve this, he invited Rishi Vashisht to perform yagna for him, which Vashisht refused. The king, then approached his hundred sons with the same request. Vashisht's sons cursed him to live the life of Chandala. The king turned Chandala, thereafter approached Rishi Vishwamitra who permitted him to perform the yagna. Rishi Vashisht and his hundred sons refused to participate in the yagna and were cursed by Vishwamitra to lead the life of Shudra. Rishi Vashisht and his hundred sons, including Megh lost their high social status. As a consequence, the Meghwals who originated from Rishi Megh found themselves as a lower caste group. The construction of literary traditions, therefore, played an important role in building a sense of a community among the Meghwals who began to believe in a common lineage, history and culture. The story of their origin from Rishi Megh undoubtedly helped them to stand up to the social oppression which they were subjected to owing to their low birth. Literary as well as oral traditions became a vehicle for defying Dalibai which not only helped them in constructing an identity of their own, but also provided a mechanism to contest the Brahmanical dominance. As long as the ruling elite and Brahmans were in position to maintain their hegemonic position, such non-Brhamanical deities posed no serious threat to them. Therefore, prior to the nineteenth century, the ruling elite and socially dominant section of western Rajasthan took no serious note of deities such as Ramdev and Dalibai. The decline of political power of the Rajputs and entry of colonial ruling elite diminished the hegemonic position of both Rajputs and Brahmans and Brahmanical hegemony was openly challenged by numerous lower caste movements. Brahmaical system responded to the situation by appropriating lower caste deities and the lower caste groups into the fold of Hinduism. This was seen as means to regain the old hegemonic position. The Meghwals, once part of Hindu caste system aspired for a religious space, which they were denied for ages. Constructing new genealogy and giving up degrading customs has to be seen in this perspective. Of, relating to, expressive of, or used in devotion, especially of a religious nature. (3.) K. S. Singh, People of India (ed), Part II, Volume XXXVII, Popular Prakashan, Mumbai, 1998. (4.) R. E. Enthovan, The Tribes and Castes of Bombay, Asian Educational Service, Delhi, 1914. (5.) Shree Jagdish Gahlot, Ramdev Ne Milya Dhedh Hi Dhedh, Report Mardushumari Raj Marwar, Shodh Sansthan, Jodhpur, 1891. (7.) Numerous hymns and devotional songs composed and attributed to Ramdev establish their companionship. See Pushpa Bhati, Rajasthan Ke Lok devta Avam Lok Sahitya, Kavita Prakashan, Bikaner, 1996. University of California Press, also known as UC Press, is a publishing house associated with the University of California that engages in academic publishing. , Berkeley, 1992. (9.) The author has personally visited the temple complex in March, 2001. (11.) The literary traditions in Rajasthan were carried and nurtured by Charans and Bhats, two bardic communities. The specialized groups of Charans and Bhats were patronized both by the ruling elite and commoners. They maintained client-patron relationship with the families of the other castes, and maintained genealogies and kept records of endowments made by the head of the families to their clients. They were professional story-tellers and entertainers who narrated stories and entertained the guests on occasions like birth, deaths and marriages. ..... Click the link for more information.couplets suggests that the basic character of a saint does not change even after infinite time is passed. Whether one is born in a higher caste family or a lower caste family, a saint remains a saint. Gokul Das, Meghvansh Itehas, Phoolchand Bookseller, Ajmer, 1994, p.204. (13.) The devotees revealed during the course of an interview at the temple of Ramdev and Dalibai at Runeecha that Dalibai protects them from diseases, natural calamities and evil spirits. After graduating from Punjab University, Thapar secured her doctorate under A. L. , Cultural Transaction and Early India: Tradition and Patronage, OUP (in Northern Ireland) Official Unionist Party , Delhi, 1994, p.13. (17.) Gokul Das, Meghvansh Itehas, Phoolchand Bookseller, Ajmer, 1994, p.206. (20.) Gokul Das, Meghvansh Itehas, op. cit., p.38.